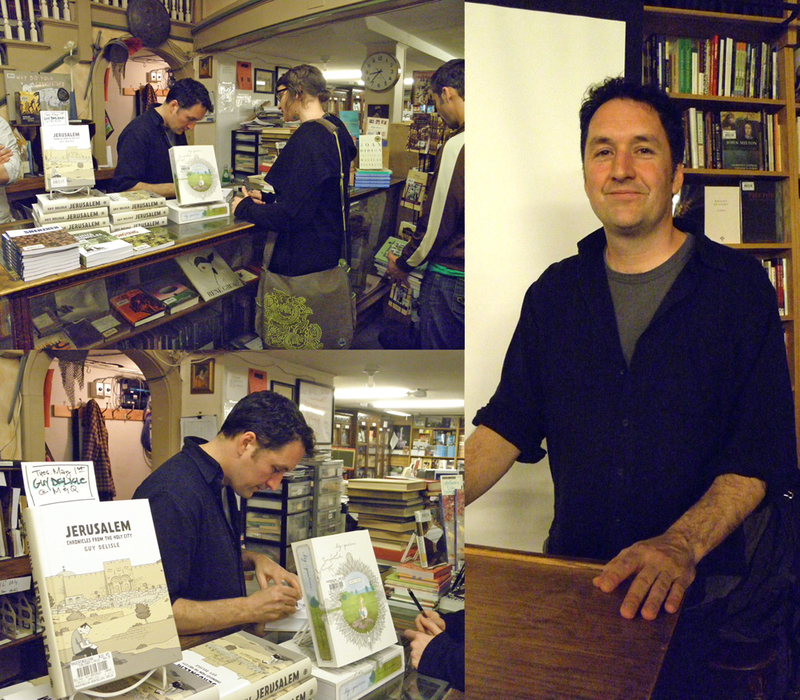 Just got back from a genuinely entertaining lecture given by Guy Delisle at Magers and Quinn. He’s out promoting his new book, Jerusalem – a travelogue of his experiences living in the Holy City. A review from the Minneapolis StarTribune can be found here. Many of vignettes shown of his work were not of the sensational but of the everyday – Walking his daughter in her stroller around a foreign country or being spoken to in a language he doesn’t understand. This entry was posted in Artists - Cartoonists, Guy Delisle and tagged Guy Delisle, Magers and Quinn. Bookmark the permalink.